Whether for your home or place of work, you'll be amazed at what our range of social robots can do! At Exaptec, we don't just sell robots. We specialise in the research, sourcing, customisation and development of the most suitable and state-of-the-art integrated service and social robotic hardware and software solutions. 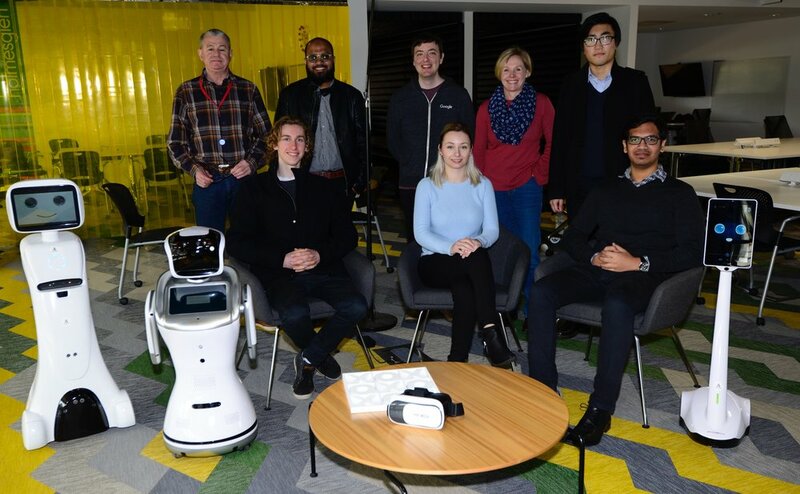 In an article celebrating International Women’s Day 2019, Inside Robotics featured Exaptec CEO Nicci Rossouw as one of six women currently ‘rocking’ the world of robotics. New research shows a record high of 381,000 units were shipped globally in 2017 – an increase of 30 percent on last year. This means the annual sales volume of industrial robots increased by 114 percent over the last five years. Researchers at the Massachusetts Institute of Technology (MIT) have developed a semi-autonomous robot that can take different types of measurements from human skin in an effort to diagnose certain types of cancer. We'll keep you up-to-date with developments in the world of robotics! Nicci is our founder. She is passionate about client service and always making sure that every robot solution that we deploy is the right technology that will in a humanistic way deliver value to our clients requirements and needs and make their life easier. Nicci can charm the hind leg off any Robot without blushing - even the T-1 and T-20. We are a passionate self managing Agile team with some of the brightest minds in robotics today. We are comprised of brilliant and enthusiastic Android developers, product designers, AI experts and mechatronics engineers. We love building robots that like to serve humans. We develop applications that are friendly and intuitive and work fast and efficient just like our clients. Back Row Left to Right : Anton, Ahmed, Tom (friend), Nicci, Zack. Front Row Left to Right: Amy, Sanbot, Cas, Stella, Ram, Padbot. Not present: Jayson, Veena, Umaid. All about Service Robots, Telepresence Robots, Social Robots and other fun things about Robots and Humans. YES I am interested in Robots!